I have worn my own collection of these anemone hats for years and have grown used to being greeted by curious, suddenly cheerful strangers every time I wear one. 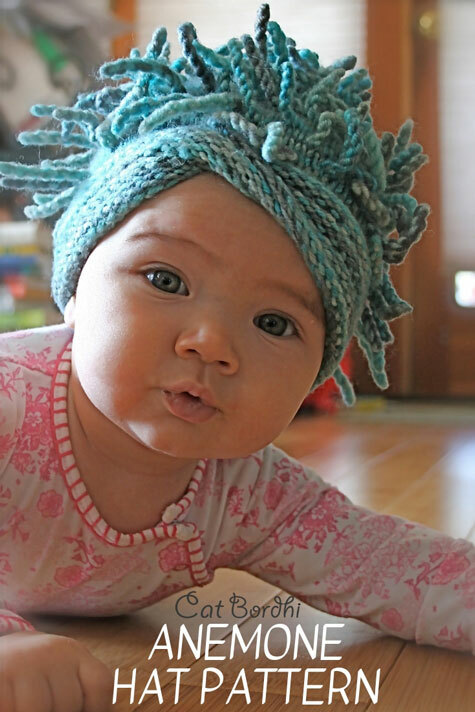 The anemone hat has a disarming innocence that seems to enhance moods. To purchase this pattern for $7.00, click here. You will have the choice of paying with a credit card or with a Paypal account. 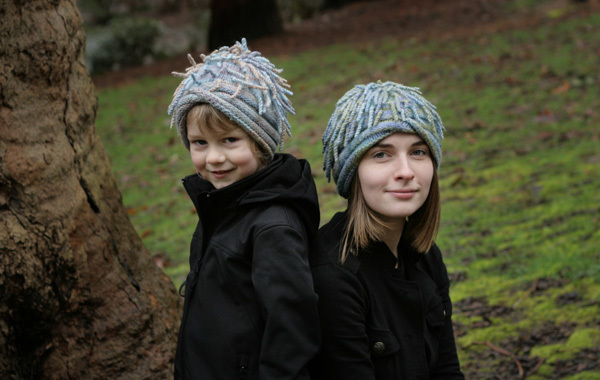 The pattern includes the Everyday Anemone in 5 sizes, from baby to large adult, and a heavier version, the Arctic Anemone, in 2 adult sizes. Both versions give you the choice of Moebius brim or a simple circle brim. If you’ve never made a Moebius before and would like to learn, you’ll find detailed instructions and clear illustrations, as well as a live link to my Moebius video tutorial (which has well over a quarter of a million views) to start you on your way. Both hats should be knit with super wash yarn so the tendrils can be plumped up in the washer and dryer. You will love the transformation when they come out.